If you supply us with your e-mail address online, you may receive e-mail contact from us with information on updates to our website or about special programs or events in which you might be interested. If you prefer not to receive future emails, simply send an e-mail to “info” at exploreportandmaine.com using “Please Remove this Email Address” as the subject heading. 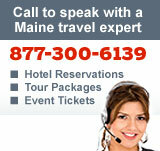 If you have any questions contact us by email to “info” at exploreportandmaine.com.